Microsoft is giving Internet Explorer an unfair technical advantage in Windows RT (Windows 8 for ARM-based devices) that is the "first step toward a new platform lock-in," according to the Mozilla Foundation. The group behind the open source Firefox browser is complaining that Internet Explorer will be the only browser on Windows RT allowed to run in the traditional desktop environment. That means IE will be able to integrate with Windows RT in ways that competing browsers can't, giving Microsoft's IE a leg up in terms of speed, stability and security, Mozilla’s general counsel, Harvey Anderson, said in a blog post. Mozilla also suggests that Microsoft may be flirting with antitrust violations by freezing out other browsers from Windows RT, echoing issues that sparked the software giant's antitrust battle with the U.S. government more than a decade ago. Windows RT is the version of Windows 8 designed primarily for ARM-based single-panel touch tablets, but is also expected to arrive on lightweight laptops. Windows RT will have two user interfaces: a touch-friendly Metro-style interface and a traditional Windows 7-like desktop. This is similar to Windows 8 for x86 chips. The difference, however, is how Windows 8 and Windows RT handle applications. 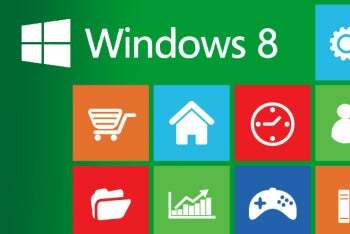 How Does Windows 8 Handle Apps? Windows 8 will have three application types: Metro, classic desktop, and Metro-style enabled desktop browsers (MEDB). Mozilla is already working on creating an MEDB version of Firefox for Windows 8 that allows users to install the browser once and run it on both the Metro and desktop interfaces. However, Windows 8 will only allow your system's default MEDB to run in the Metro interface. In other words, you can't run Firefox in Metro if IE is your default browser. Windows RT will focus on offering Metro-style apps optimized for touch devices and connected to cloud services such as SkyDrive. But there will also be a traditional desktop to run programs such as Microsoft Word, Excel, PowerPoint and OneNote (all four are bundled with Windows RT), Windows Explorer and the desktop version of IE. Legacy Windows desktop apps will not run on Windows RT. The problem is that Windows RT does not have an equivalent MEDB class of apps, according to Mozilla's Asa Dotzler. MEDB apps on Windows 8 can access powerful application programming interfaces (APIs) that browsers need "to deliver modern capabilities and performance," Dotzler wrote in a blog post. Third-party browsers on Windows RT will not be getting the same access to those APIs as IE will have, according to Mozilla. "Without that access," Dotzler says, "no other browser has a prayer of being competitive with IE." Microsoft has not responded to PCWorld's request for comment. Who Cares About Windows 8 for Tablets Anyway? It's not clear if ARM-based Windows devices are going to be an important factor when Windows 8 starts rolling out this year. Previous reports claimed that five or fewer ARM-based Windows RT devices would be available at launch. And market research firm NPD DisplaySearch predicts that Windows RT tablets will grow slowly during the first five years, going from 1.5 percent of all tablets sold worldwide to 7.5 percent by 2017. So whether Mozilla will miss out by not being on equal footing with Internet Explorer on Windows RT is up for debate. Nevertheless, Microsoft's actions, if accurate, could give the company an unfair advantage if Windows RT becomes a popular option for consumers and device makers. And Microsoft's actions could bring up antitrust problems for the company in the U.S. and Europe, according to Mozilla. The irony, of course, is that Microsoft's original antitrust problems in the late 1990s and early 2000s were sparked by how the company bundled Internet Explorer with Windows. But until Microsoft has had a chance to explain don't count on history repeating itself just yet.